The number of homes under contract jumped nearly 16 percent compared to January, indicating that the cold didn’t deter buyers who took advantage of the increased housing inventory. Interest rates also hit a one-year low in February, dropping to the low fours compared to the prediction of interest rates going above 5 percent this year. · The average days on market went down 7 percent from the prior month but were up 22 percent from a year ago. While supply is higher this year compared to last, year-to-date more homes have gone under contract than in 2018 indicating that there are more buyers in the market heading into the spring selling season. According to a recent study by LendingTree that looked at the competitiveness of home buyers (i.e., high credit score, down payment percentage and shopping for a mortgage before selecting a house), Denver has the most competitive buyers in the country. So, while inventory is up, buyers who are well prepared have a greater chance of finding the home of their dreams. 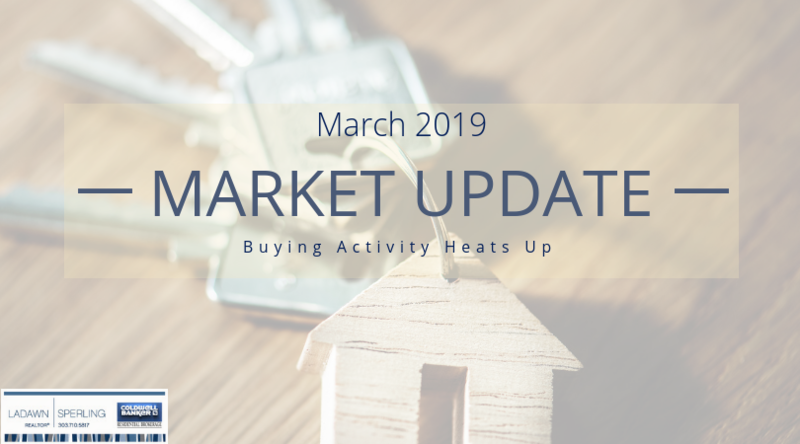 This update is based on information provided by the Denver Metro Association of Realtors® for the period of February 1, 2019, through February 28, 2019, for the following counties: Adams, Arapahoe, Boulder, Broomfield, Clear Creek, Denver, Douglas, Elbert, Gilpin, Jefferson and Park.